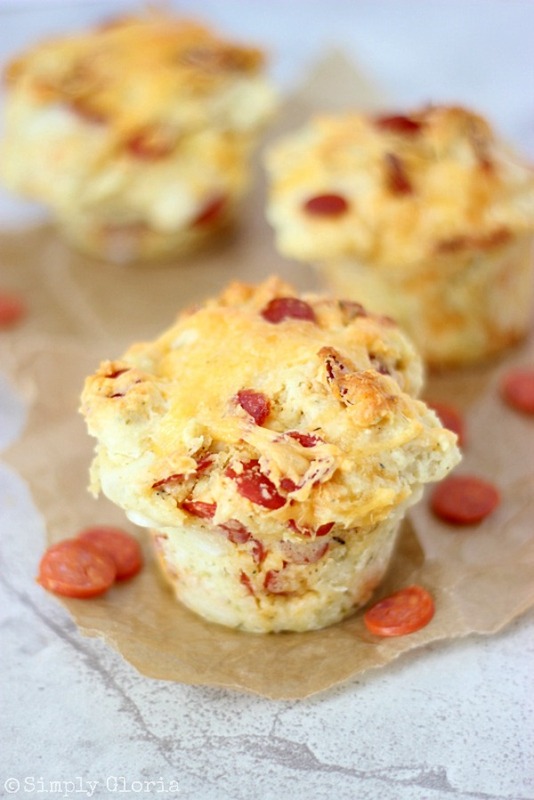 Savory Pizza Muffins are definitely pizza worthy! These are perfect sized for individual servings. Have them for a snack, an appetizer, or a meal with a salad. Fast and easy to make– and all made from scratch! Don’t you just love how pizza comes in all sizes, shapes, and creations?! The possibilities of making pizza is really endless! The pizza recipe I have for you today, is in the form of a savory muffin. Texture so soft in the middle and crispy on the tops edges. Italian seasonings and melted cheese wrapped through out the entire muffin! Of course, you may choose your favorite toppings to please the whole family. Mini pepperonis are fun! When pizza is baked in this muffin form, it is perfect for individual servings or a snack on the go! 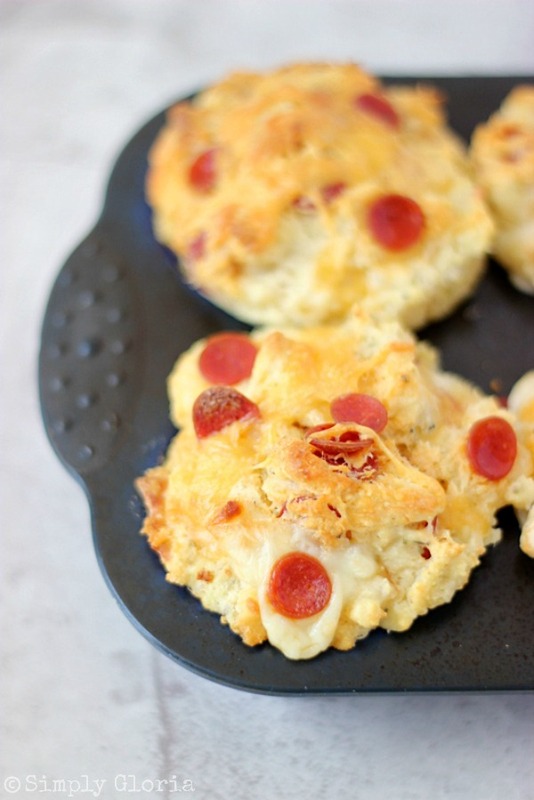 Think of when you have guests over for a casual party night, these Pizza Muffins are perfect! No utensils needed! In fact, my Gatlon came to me and suggested he was craving some kind of cheesy pizza dilly... for on-the-go. With a teenager, you know it’s all about the part of grabbing the food and walking out the door. In his case, it’s getting to the skate park fast enough to do his BMX stunts before it gets crowded… and eating at the same time! My boys have been enjoying these with every batch I’ve made. The muffins freeze really well, too. Great for popping out and having for lunch! Whisk together flour, baking powder, baking soda, cornstarch, seasonings, and salt in a large mixing bowl. Add the the pepperoni and mozzarella and 1/2 cup of grated cheese-- or your choice of toppings and cheeses. Add the beaten egg and the buttermilk. Stir with a spoon until all mixed together. Do not over mix. Spoon into a prepared (sprayed with non stick spray or with cupcake liners) muffin pan. You may overfill the cups just a little over the top. They will rise and puff up just a little bit. Makes 6 large muffins. Fun to make in a mini muffin pan, too! Store in refrigerator, wrapped for up to 3 days. Or freeze individually. 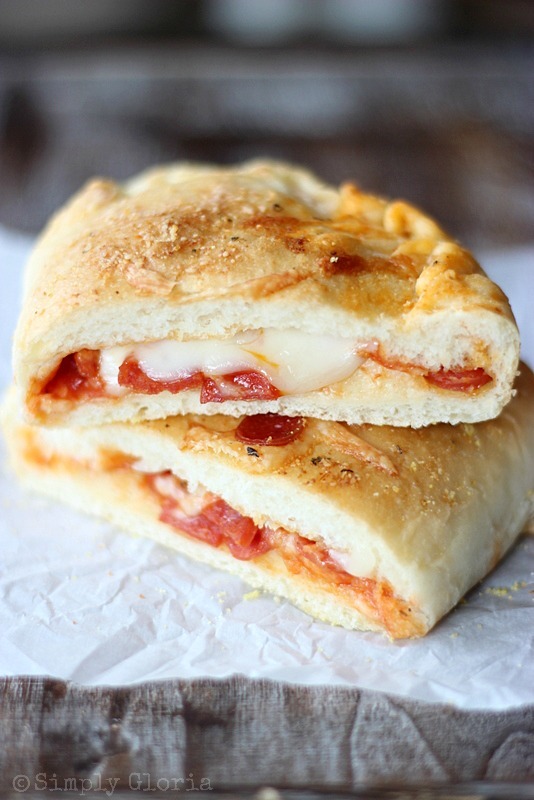 –> For another on-the-go pizza idea, try these… also made from scratch! Those look delicious! I love the pockets too. Grab and go is always nice when you have teenagers. 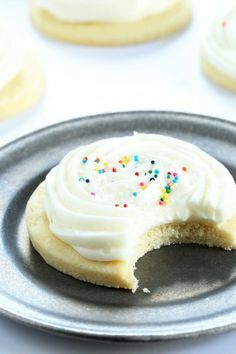 These are so great Gloria, love those little pepperonis too!!! These are an awesome idea, Gloria! My kids would go crazy over these…as would I. 🙂 Have a great weekend! Yes, yes, yes I LOVE how versatile pizza is and these are an absolute winner! I think I could live off of pizza if my hips wouldn’t protest, but now I can make handy muffin sized pizzas and hopefully get some kind of portion control, printed and pinned! Such a unique idea Gloria! I could eat pizza anytime, anyway it is served! Gloria, these look so awesome! There used to be this amazing little bakery down the street from my grandparents that made pizza rolls that I loved and these remind me of those!! Thank you so much for sharing these and pinning! Happy Friday!! Cindy Eikenberg recently posted…July 4th Flower Favors-To-Go + An Announcement! I love those little pepperonis! My guys would go crazy for these. I love being about to bake and freeze for later. Pinning! This is a perfect recipe for the FIVE children running in and out of my house all summer! But I have a question about the recipe. One ingredient seems to be missing. 3/4 cup plus 2 tablespoons of what? 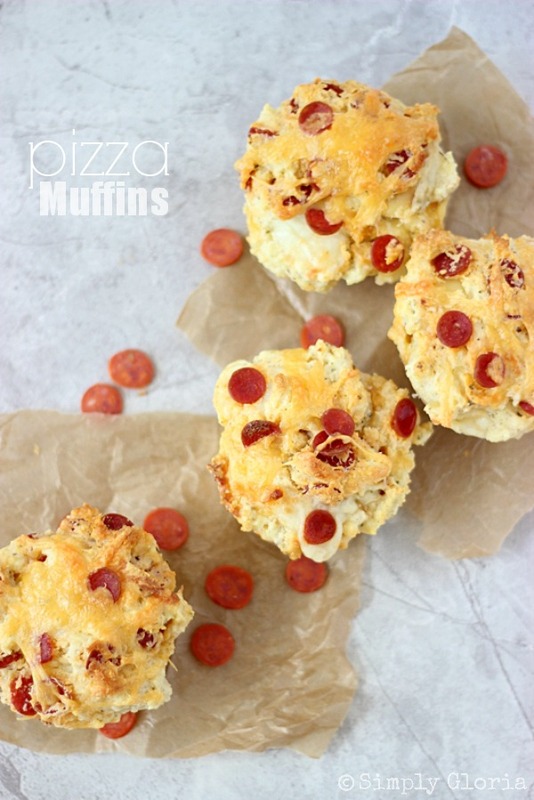 Just wondering because I’m making these yummy pizza muffins next week! There is something about the cheesiness of pizza that it utterly and completely addictive. This is comfort food made easy! Nobody minds a second pizza night, but it is always more fun when it is in a different form. I’ve seen pizza pasta, pizza salad, but not pizza muffins! Pinning! We eat our fare share of pizza around here! The boys would be thrilled to grab these as they are running out the door to whatever practice they have! I love your recipes Gloria! Gloria, these are great! What a fun dinner to make for my girls I know they are going to LOVE them! Pinning! Well the stuffed pizza pockets are in my top five favs of all time, so I’m definitely going to have to make these pizza muffins!! 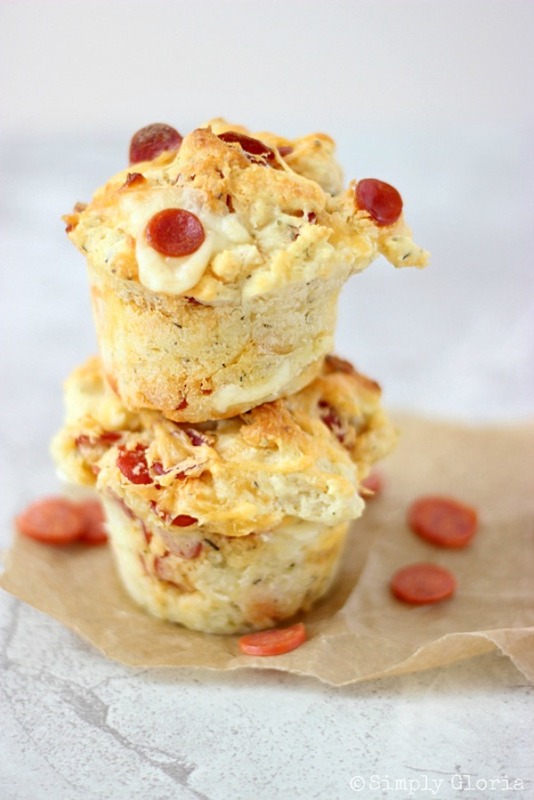 Pizza in a muffin… Genius! I found your recipe over at the Create, Link, Inspire Tuesday link party at Naptime Creations. I host Tickle My Tastebuds Tuesday and would love it if you would come over and share this recipe. I’m sure our party goers would love it! Here is the link http://bit.ly/1mF7z6K. Have a wonderful day!! These are so fabulous Gloria! My boys would just DEVOUR these 🙂 Pinned and shared on FB! Oh, these look like a treat! I love pizza in any form.